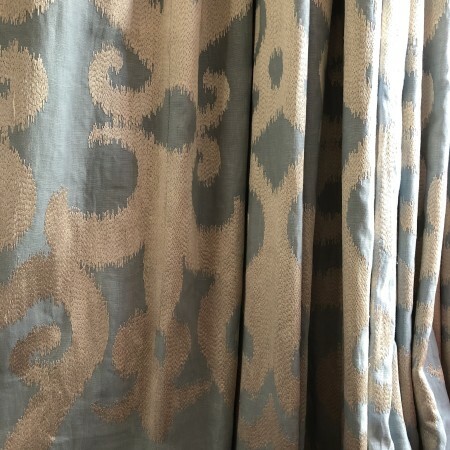 Curtain information: One pair of Colefax and Fowler embroidered fabric. Pale gold on duck egg linen. Lined and interlined. Pinch pleat heading. 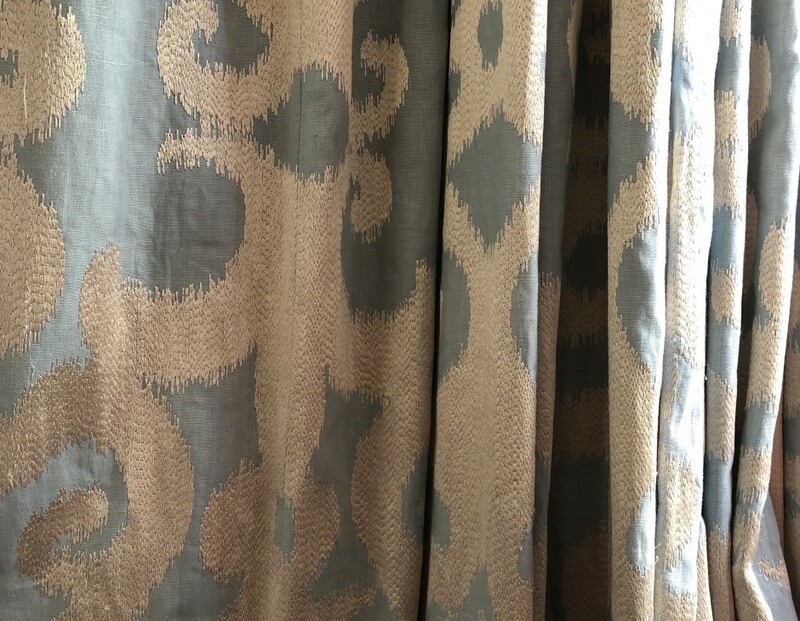 Size: 76″ (193cm) wide each curtain. 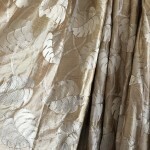 Curtain information: One pair leaf embroidered gold silk curtains. Lined, interlined, pinch pleat heading. Slight fading on leading edge. Price: Pair A + B £180 each, C + E £220 each. Curtain information: 4 pairs of pink roses on very pale blue background. Lined, interlined with pinch pleat or goblet heading. Tiebacks available to match.